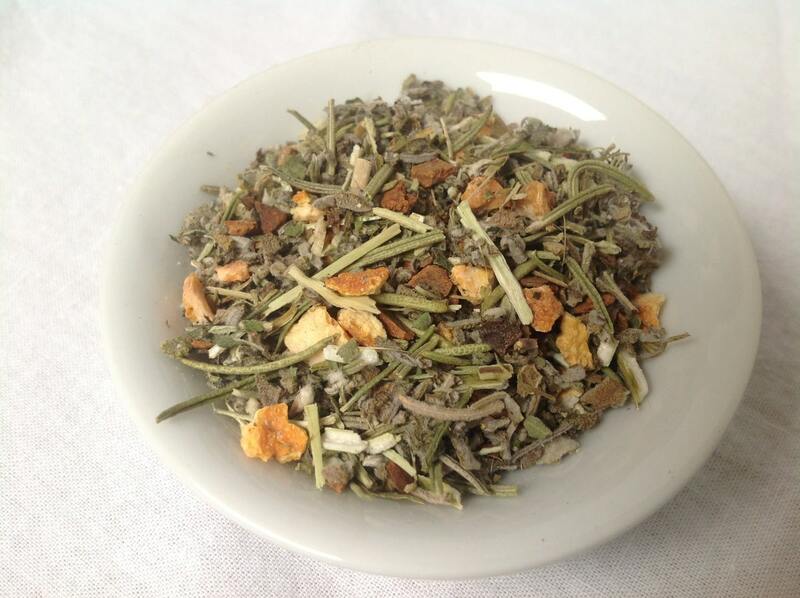 Our ‘SereniTea: River to Book” is an organic herbal mood tea blended to assist with mood leveling, anxiety, and depression. At one point two of the people I lived with shared a couple of diagnoses. One was adult ADHD, the other was bipolar disorder. Neither one particularly liked the roller coaster ride of psychiatric medications, but they also found dealing with things without help difficult. After a lot of observation and research, I decided to try blending a tea to assist. In the formulation of this particular blend, I was aiming for helping people to find a balance, and easier clarity of both thoughts and emotions. The primary herb in this tea is Motherwort. It acts, in part, as a mood regulator, and is one of the most effective anti-anxiety herbs I have worked with. Emotional extremes can often be a trigger for anxiety, and when that happens, it often helps to exacerbate the original emotional state. Calming enough to be able to be able to think through what is troubling you can help a great deal. Motherwort is also a heart tonic, and helps to mitigate the physiological effects of increased amounts of adrenaline and anxiety. Rosemary and Sage are both known to enhance mental clarity, with Rosemary having the additional benefit of improving memory. They are both soothing to the nerves, with Sage also acting as a mild muscle relaxant, allowing them to assist with easing both physical and mental tension. Rosemary also acts as a gentle heart tonic herb. Orange Peel was my nutritive choice for this tea. It is a good source of both C and B. The first the body can’t store, and some of what it is used for effects mood. A deficiency in the second has been linked to a number of mood disorders, and there is a common lack of sufficient quantity of it i the modern diet. Lastly, we come to Cinnamon. 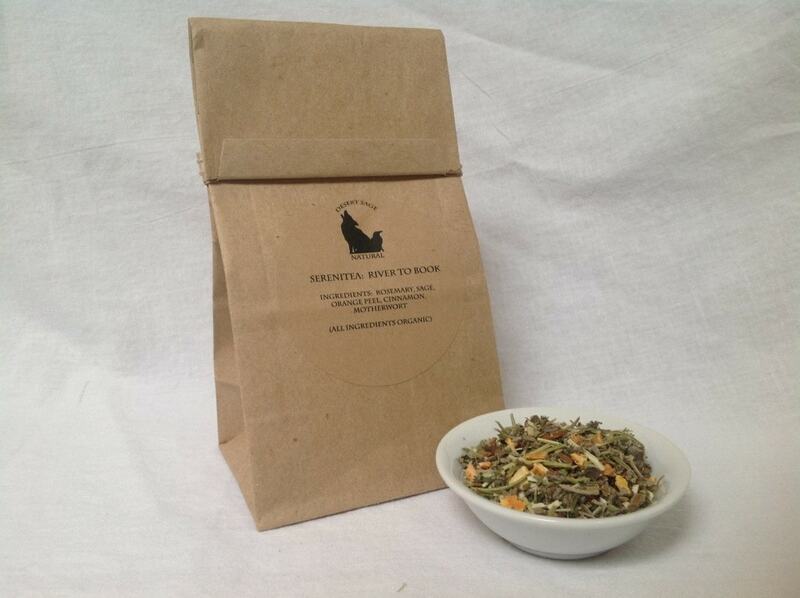 Its primary purpose in this tea is to increase the speed at which the other herbs can start to help. It also has a warming and stimulating effect on the body overall, and for many people it is a comforting taste and smell. When they remembered to drink it, this tea was pronounced useful and tasty by both roomates, and has assisted others since. We include this tea in our sets of tea for Browncoats because it did turn out to be a truly tasty tea. *Due to the combination of herbs in this tea, it should not be used medicinally during pregnancy, or while nursing. We have a separate blend, “Logan’s Elixer,” for children. Also, as Cinnamon is a variable strength blood thinner, if you are taking medications for that purpose, please check with your doctor before regularly drinking this tea. **** We are not officially attached to or licensed by or otherwise involved with any of the official agencies of the fandoms we homage. If any of these agencies have an issue with our teas, please let us know, and we will work things out. This entry was posted in SereniTeas and tagged ADHD tea, Center, Concentration, Desert Sage Natural, Firefly Tea, Herbs for ADHD, Herbs for Anxiety, Herbs for Depression, Mood Tea, Organic Cinnamon, Organic Herbal Tea, Organic Motherwort, Organic Orange Peel, Organic Rosemary, Organic Sage, Serenity Tea, Tea for Anxiety, Tea for Depression by DesertSage. Bookmark the permalink. Always find your process fascinating. This helps with all the listed problems but it also tastes delicious. Sounds pretty cool. Wanna taste it. It is a touch savory, which, depending on your palate can take a bit of getting used to – but the orange and cinnamon carry that well, and make it fairly accessible.